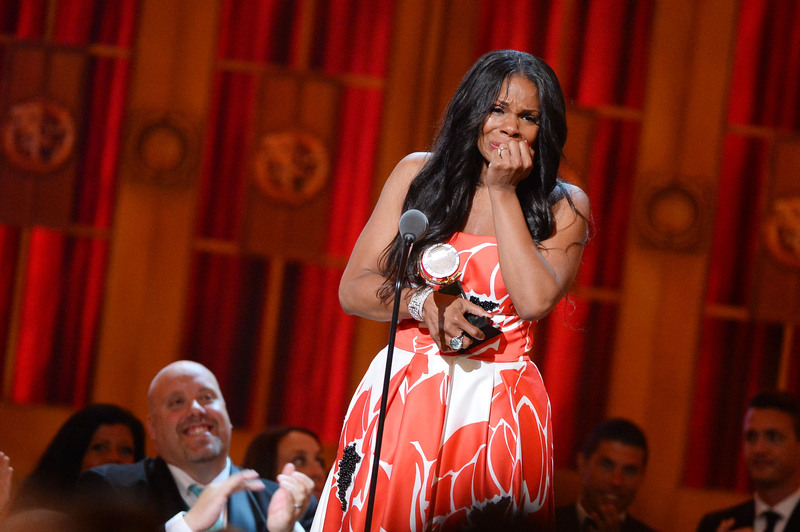 Tuesday we learned that history-making Broadway legend Audra McDonald is being eyed to play Aretha Franklin in a biopic by none other than Franklin herself. Visions of an EGOT flashed before my eyes. Could she win an Oscar for that role? It's way too soon to tell, but it seems the avenues are opening in more ways for that potential EGOT: McDonald's Tony-winning performance as Billie Holiday in Lady Day at Emerson's Bar & Grill is coming to HBO. McDonald's performance as Holiday is what won her her sixth Tony — the Tony that made her the performer with the single most Tony Awards in history. (McDonald one two Grammys in 2008: Best Classical Album and Best Opera Recording.) Her performance in Lady Day got her a five-star review by New York Times' Charles Isherwood. Broadway.com reports that Lady Day's move to the small screen on HBO will come in the form of a filmed stage show, not an adaptation, so there's no reason to think the performance that won over so many on Broadway will be lost in translation. That gives me hope, then, that Emmy voters will take this as an opportunity to award McDonald with one of the two outstanding awards she's still got left to go in her (in my opinion) inevitable path to entertainment's grand slam.